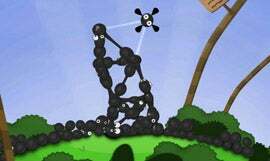 Indie puzzle physics game World of Goo is going to be released in Japan via Nintendo's WiiWare in second quarter 2009. Nintendo of America's senior director of project development Tom Prata, who spoke today at DICE, disclosed the Japanese release. The game has already been released via WiiWare in North America in October 2008 and in Europe in December 2008. World of Goo has also been released on Steam as well as via traditional retail release.